Members of the Fire Free Alliance (FFA) have reported improvements in fire prevention efforts, highlighted by an increase in the number of communities engaged in fire prevention activities, from 416 in 2016 to 468 in 2017, and a 24 per cent rise in awareness raising activities by members. These accomplishments are highlighted in a published report on the efforts of its members to prevent the recurrence of fire and haze across Southeast Asia during 2017. 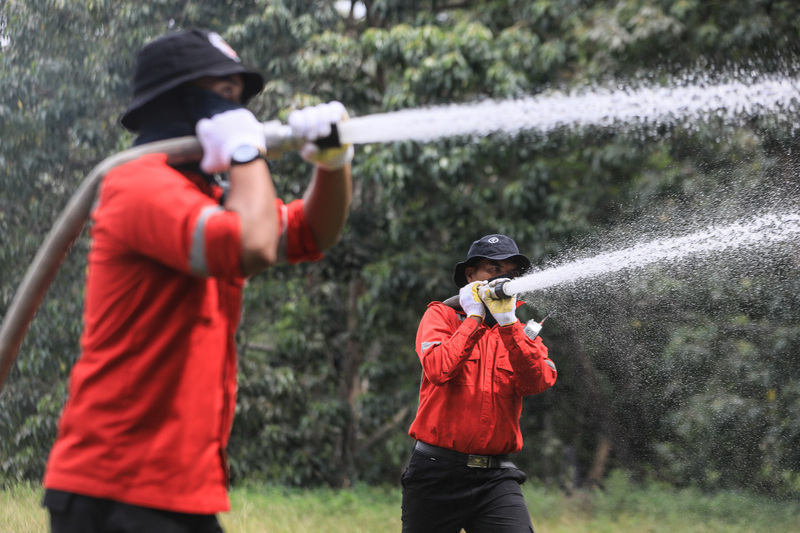 Meantime, FFA members continued to evolve their programs in 2018, focusing on the implementation of six Fire Free Village Program elements: fire prevention and monitoring, supporting community development, no-burn village reward, providing mechanical site preparation, raising awareness and training and haze monitoring. A 2018 update will be published in the second quarter of 2019. APRIL’s contribution included the updating of its Fire Free Alliance Toolkit, which was then shared with FFA partners at a Technical Workshop in Pekanbaru in November 2017. APRIL also reported that it added nine new villages to the program in 2017, expanding the reach of its total engagement to 77 communities, with the addition of its Fire Aware Communities program element. As part of its Fire Free Village Program, 15 of 18 villages received economic rewards for achieving no-burn status during the year. Amongst other members, Sime Darby’s community-based Fire Prevention Program extended its coverage to nine more villages in Palembang and Jambi provinces in 2017, while Musim Mas reported that 45 out of 70 villages with whom it has established memoranda of understanding (MOUs) successfully kept their areas free from fires during the reporting period. Also, Asian Agri increased the number of villages covered by its own Fire Free Village Program in 2017, from nine villages in 2016 to a total of 16 the following year. The Fire Free Alliance is a voluntary multi-stakeholder group made up primarily of forestry and agriculture companies with NGOs and other concerned collaborators and partners. It comprises APRIL, Asian Agri, IOI, Musim Mas, Sime Darby, Wilmar, IDH and PM Haze. FFA members commit to resolving Indonesia’s persistent fires and haze problems arising from forest and land burning and actively collaborate to share information, knowledge and resources as part of a collective effort to achieve lasting solutions.